Sacred Mākua is a place where Papa (Earth mother) and Wākea (sky father) created human life, a place of healing and refuge, not a place for bombs and bullets. Mākua is calling us home. Hele mai! 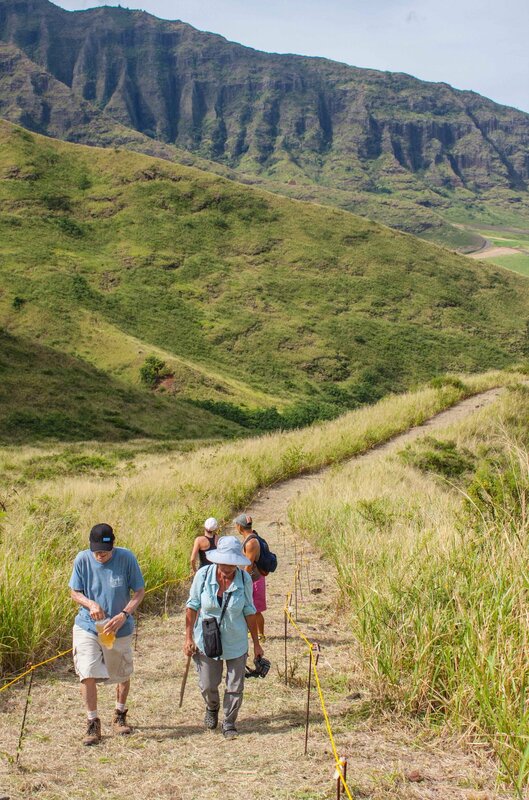 Join Mālama Mākua on a cultural access into this sacred valley on Oʻahu’s Waiʻanae Coast. Scroll down for upcoming cultural access dates or explore our site to learn more about sacred Mākua as well the non-profit Mālama Mākua. Retired U.S. Army Colonel Ann Wright, who also spent years as a US diplomat internationally, retired from the military because she did not believe the Iraq war was a just war. She lives on Oʻahu, but now travels the world speaking about the dangers of militarization. She spoke to cultural access participants on Sunday, Feb. 3, 2019, in sacred Mākua. Aloha mai kākou! Below are the cultural access dates for the upcoming months. Free reservations are made through Eventbrite with links found below. IMPORTANT: If you DO NOT receive a confirmation email shortly after registering for any cultural access, your registration did not go through. Please try again or contact us at wearemakua@malamamakua.org. Click here to sign up for our email list to be notified when registration for each cultural access opens. Start times for the cultural access will be determined a couple weeks before each access. Cultural accesses are led by Mālama Mākua and participants will need to be at Mākua at the start time to be able to go on the access. Much of this video is devoted to Mālama Mākua founding member Sparky Rodrigues giving a presentation on the dangers and degradation to the ʻĀina due to militarization on the Waiʻanae Coast, with Mākua as a centerpiece of his talk, at the Aloha ʻĀina EAducational Weekend in Keaʻau in May 2018. Listen for Uncle Sparky telling of the old definition of ʻĀina, as was taught to him. The last 40 minutes of the video are excerpts from interviews of Mākua as a special and sacred place and why Mākua needs to be cleaned up, protected and returned. The interviews were part of Kourtney Keohuhuʻs Mākua Stories and were recorded during the Hoʻolauleʻa on Mākua Beach that celebrated the 10th anniversary of PEACE (no live-fire training) in the valley in 2014. Contents of the video include: “Mākua Live,” 0:00 - 2:47; presentation by Sparky Rodrigues of Mālama Mākua at Aloha ‘Āina EAducational Weekend, 02:48 - 46:17; Mālama Mākua Ho‘olaule‘a celebrating 10 years of PEACE in Mākua, 46:18 - until pau. Aggregate edit by Oren Tsutsumi. “Mākua Live” by Sparky Rodrigues with music by Kyle Kajihiro. “Waiʻanae and Mākua Valley: Environmental Dangers, Destruction and Restoration,” a presentation by Sparky Rodrigues at the 2018 Aloha ‘Āina EAducational Weekend. Video by Oren Tsutsumi. 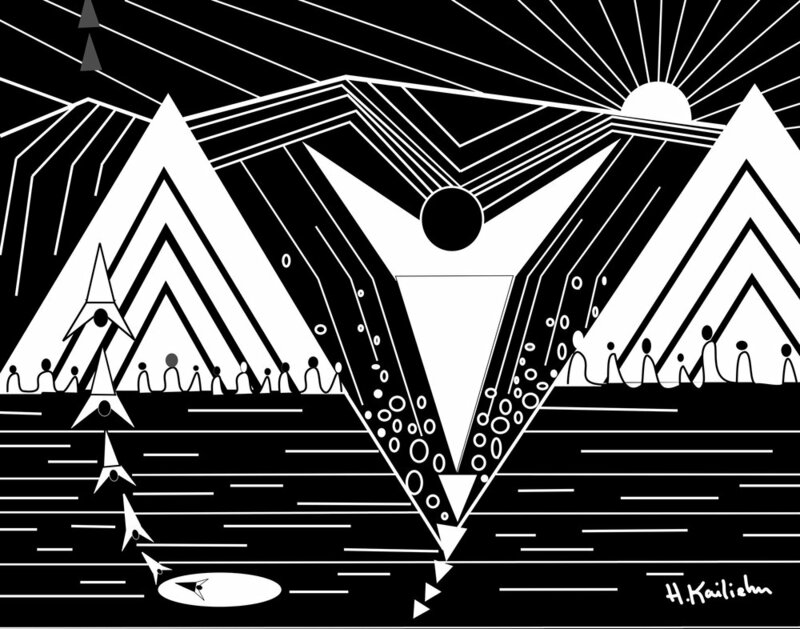 “Mālama Mākua Ho‘olaule‘a celebrating 10 years of PEACE in Mākua” excerpted from Mākua Stories by Kourtney Keohuhu. Robi Kahakalau, along with Kimié and Paula Fuga, sings her signature song “Mākua” to close out an amazing and mana-filled day at Mākua on Saturday, Sept. 22, 2018. Non-profits Nā Kama Kai, Sustainable Coastlines and Protectors of Paradise, along with Mālama Mākua, opened the day at 9 am with a clean-up of Mākua Beach with an estimated 800-plus folks fanning out along the mile-long beach. A Celebration of 15 Years of Peace in Mākua (no military live-fire training) began under the big tent set up in the Kulaʻilaʻi parking lot next to Mākua Beach at noon with incredible speakers and mele. A star-studded, three-plus hour concert then followed at 3 pm, featuring Nā Hoku Hanohano award winners Kimié, Mike Love, Paula Fuga and Sistah Robi, among others.